Matteo Fanni Canelles, both artistic and scientific, is a composer, pianist and didactic. Last graduate student of Nives Caetani Buzzai, he won many piano competitions in Italy and France. He specialized in piano with Nunzio Montanari in Bolzano with Eli Perrotta in Milan and with Paolo Bidoli in Trieste. He studied composition with Giacomo Manzoni and Roberto Doati and has perfected his master classes with Alvise Vidolin, Roberto Fabbricciani, Enzo Porta and Trevor Wishart. Author of works for piano, chamber music, music for film, from 2000 to 2007 he became interested in avant-garde music experimenting interactions between art and science in the field of electronic music and video music obtaining international awards (Asolo Film Festival-World Computer Conference). His music was used in multimedia works and interactive exhibitions in Italy and France, in 2012 at the Louvre in Paris his music was used for a work by Michelangelo Pistoletto. He holds degrees in various fields: Piano at the Conservatory “Monteverdi” of Bolzano, Music and new technologies, Piano Didactics, Didactics of Music at the Conservatory “Tartini” of Trieste, Geological Sciences at the University of Trieste . Piano teacher at the Liceo Musicale of Trieste, in 1998 he founded the Ars Nova Music Academy of Trieste, which is well known not only in Trieste but all around the Europe and more. 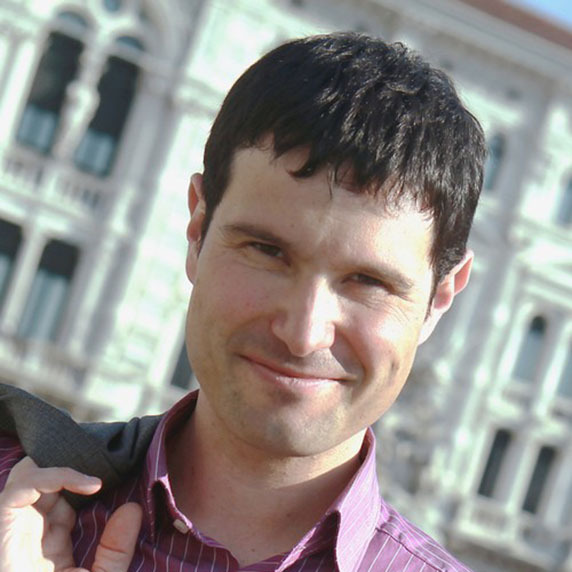 Prof. Canelles is often a jury member in musical competitions in Italy and abroad.